As a herb that’s been used for thousands of years in Chinese medicine, Green Tea is famous for treating everything from obesity through to depression. Today, it’s so popular that you can buy it from local stores, allowing you to enjoy its antioxidant properties. In addition to containing B vitamins, green tea is rich in potassium and magnesium, which are two essential minerals. It also acts as a natural source of caffeine, providing you with a boost in energy. Finally, it features an abundance of catechins, which the European Journal of Pharmacology notes are essential antioxidants that help us absorb nutrients from the digestive tract. If you’re looking for another natural means of reducing hair loss, green tea is worth your consideration. Before you start using it, though, we’ll run through how it benefits our bodies, whether there’s any evidence to support its use in slowing down hair loss and regrowing hair, and whether you should expect any side effects. If you use green tea for hair loss, you’ll tackle other areas of your body that encounter poor health too. For example, one study revealed that drinking green tea results in a little more weight loss. Similarly, a study that took place in Japan found that it reduces ‘bad’ levels of cholesterol and increases the ‘good’ HDL cholesterol levels. As there’s a link between high testosterone and low HDL cholesterol, using green tea to tackle androgenic hair loss helps restore balance to this area of your body too. The result? A reduced risk of stroke and atherosclerosis. Interestingly, another study reveals that green tea’s antibacterial properties are just as capable of preventing tooth decay than using a regular mouthwash. As hair loss conditions such as psoriasis and tinea capitis have a bacterial element to them, this could suggest that adding it to your hair loss prevention regime could help on the dermatological front too. Can green tea slow down hair loss? One of the most frequent causes of hair loss is androgenic. Otherwise known as male-pattern baldness or hereditary hair loss, this condition arises in both men and women. We’ve already mentioned that green tea is rich in catechins. 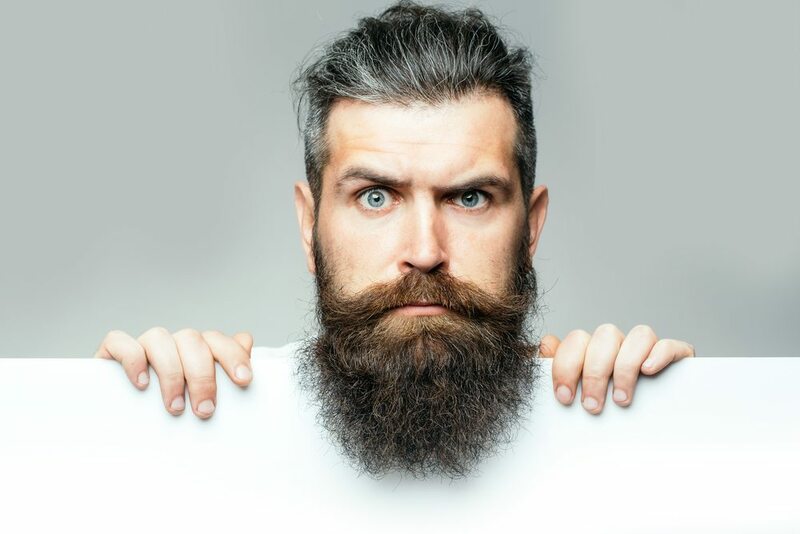 Interestingly, one study has found that catechins slow down the production of dihydrotestosterone/DHT, which is the form of testosterone that leads to extra hair growth on the chest and back, with less growth on the scalp. As the researchers conclude, the findings may indicate that green tea is beneficial for those with androgen-dependent disorders. In high enough levels, DHT causes your scalp’s follicles to miniaturize hair growth. It does this by forcing the follicles to remain in one particular growth phase. Theoretically, by reducing DHT with green tea’s catechins, you can slow down androgenic hair loss. Another common cause of hair loss is stress. As one study reveals, most major antidepressants rely on our potassium-sodium channels to operate smoothly for them to remain effective. As such, if we’re not getting enough potassium into our diets, it’s fair to assume that we’re not allowing our sodium-potassium channels to moderate the neurotransmitters we need to feel less stressed and happier. As we’ve already mentioned, green tea is rich in potassium, which means it could regulate our sodium-potassium channels. Subsequently, if you’re experiencing hair loss due to stress or depression, you could slow it down. Finally, there’s evidence to suggest that drinking green tea reduces the amount of plaque in your blood vessels. Also known as atherosclerosis, this condition can reduce blood flow to your scalp, which in turn leads to less nourishment for your follicles. By adding green tea to your diet, you can improve blood flow, enhance the number of antioxidants your scalp encounters, and enhance nutrient delivery, which may then result in better hair growth. Can green tea help regrow hair? One promising study published by the Journal of the National Medical Association found that mice which were fed a normal diet and drank green tea were more likely to experience rapid hair growth than those that ate a normal diet and drank water. However, it’s worth noting that this was only the case for 33% of mice in the green tea drinking group, so it’s difficult to pinpoint which types of hair loss green tea is useful for regarding regrowth. However, we can take a look at the vitamins it contains and how they help regrow hair in certain conditions. For example, we’ve already highlighted how green tea has lots of B vitamins. B vitamins are responsible for forming the cells that carry oxygen and nutrients around our bodies. After dropping them off at their target cells, they pick up harmful elements such as toxins and carbon dioxide; so that we can excrete them via our lungs and kidneys. If you’re suffering from a condition such as psoriasis and your hair loss comes from picking at scabs and, therefore, harming the scalp’s follicles, it’s fair to assume that the presence of B vitamins in green tea can speed up the healing process. As such, it’s useful for regrowing hair in such circumstances. Similarly, its ability to slow down the spread of bacteria and fungi suggest it’s a useful treatment for conditions such as seborrheic dermatitis and tinea capitis. Both conditions have bacterial and fungal elements. While the study cited doesn’t suggest that green tea alone could tackle these conditions, it could act as a useful additive to your usual treatments. If you speed up the healing process, you may encounter hair regrowth. Are there any side effects when using green tea for hair loss? While green tea is natural and has been used in Chinese medicine for thousands of years, it does come with side effects. How well you tolerate them will depend on underlying conditions, as well as any medications you’re taking. According to WebMD, green tea is usually safe for adults who use it on a short-term basis. However, if you use it for longer than two years, it’s potentially unsafe. Also, if you consume too much, you are at risk of caffeine toxicity. Overall, green tea contains powerful antioxidants that aid in absorbing other nutrients that are beneficial for hair growth. Its catechin content can lower DHT, which means it’s useful for slowing down androgenic hair loss. Studies focusing specifically on the substance highlight how it quickens hair growth, but we need more evidence to say which conditions it will benefit. Finally, it’s rich in certain vitamins, minerals, and antioxidants that heal fungi and bacteria motivated conditions, including psoriasis, tinea capitis, and seborrheic dermatitis. Exercise caution before adding it to your diet, and make sure you consume it in moderate amounts only. Aloe Vera for Hair Loss: Does it Really Help?